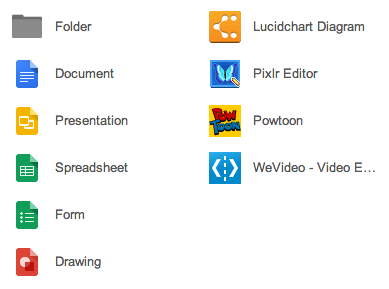 So – truth be told, I’ve pretty much stopped using Microsoft Office for a while now. This makes me a great person to try a new install though right? What have I been using? Well, I will preface this by saying that I am an old school Macintosh user. That being said, I have used OpenOffice, the iWorks Suite (Keynote, Numbers and Pages) and more recently the Google Docs apps. Some people still want MSOffice though. They even want it on their iPads. 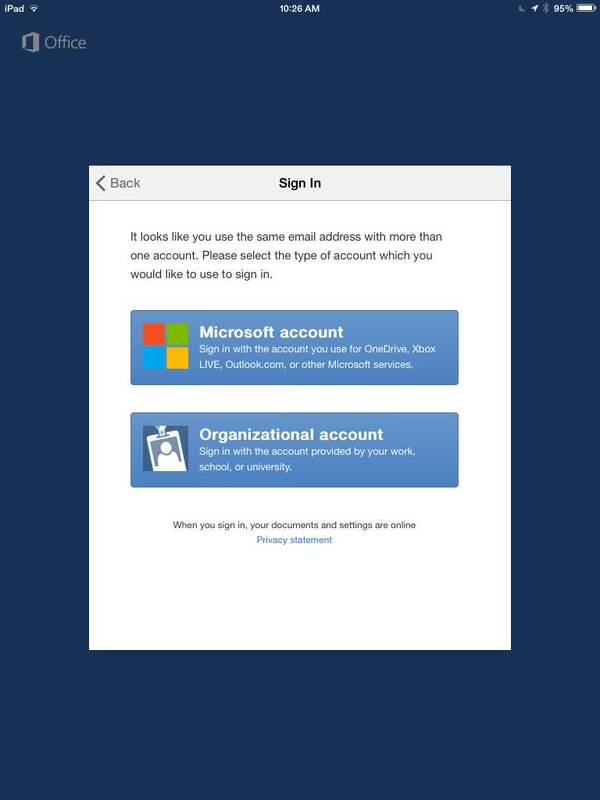 The question that I got recently, was whether or not the Office365 that we had as part of our Stony Brook campuswide MS agreement could get you access to the iPad apps. My answer was no – but I’m going to upgrade my machine today and make sure this is true. Use your campus e-mail. For me that’s jennifer.adams@stonybrook.edu and hit enter. A small Authentication Required window drops down. Don’t use your NetID, but use your e-mail address again, and your NetID password. I’m going to pick “organizational account”. Login with my e-mail and NetID password.. and I get something that prompts me to buy Office 365 Home (boo) or “View for Free”. Trying ‘View for Free” opens up the Word application. Trying to create a new document confirms that this isn’t going to work. I can only read files, not create or edit files. Interestingly enough, back on the desktop, there is an option to create a new file in OneDrive and clicking on this takes me to Word Online…. and I can see the new document I just made back on the iPad and open it (but not edit it). hum. Seems odd. *** read the comments for a work around involving using the iphone app, rather than the ipad app.